George M. Steinbrenner III may be headed to the Hall of Fame sooner than later thanks to changes being made to the museum’s election process. Will the Hall of Fame soon be opening its doors to the Boss? The Baseball Hall of Fame has once again amended its procedures for electing managers, umpires, executives and long-retired players, this time organizing the selection process by eras instead of contribution to the game. Instead of considering candidates in separate groups based on the roles for which they are being considered, a voting committee of 16 members selected by the Hall of Fame Board of Directors will consider all potential nominees that fall within one of three defined eras: Pre-Integration (1871-1946); Golden (1947-1972); and Expansion (1973-Present). A group of senior BBWAA members will act as a screening body for each year’s ballot, which will cover the three different eras on a rotating basis. The annual vote will take place during the winter meetings and all candidates receiving at least 12 votes from the committees will be enshrined the following July. The first time period slated for consideration is the Expansion era, which means George Steinbrenner will get his first posthumous crack at the Hall of Fame on December 5, 2010. As a board member of the Hall of Fame until his death, Steinbrenner likely made many friends at the institution, so it wouldn’t be surprising if the new process (even if only the decision to consider the Expansion era first) was designed to fast track the Boss’ election. 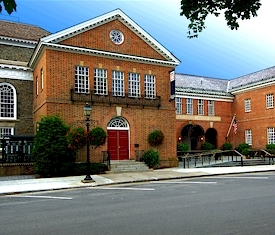 Under the previous system of having a 12-member electorate consider a slate of executives and pioneers on a bi-annual basis, Steinbrenner would not have been up for consideration until the winter of 2011. In addition to recognizing Steinbrenner’s obvious contributions to the game, a 2011 induction would also help raise the profile of both the Hall of Fame and its annual induction Weekend, both of which have seen declining attendance over the past few years. In fact, 2009 was the first time the Hall of Fame recorded fewer than 300,000 visits since 1997, and 2010 attendance isn’t expected to be much better. The economy has likely been responsible for at least some of this decline, but the lack of big name inductees on Hall of Fame Weekend has also had an impact. That drought is likely to continue for at least the next two seasons (especially with the steroid cloud lingering), leaving open the strong possibility that no players will be elected. Should that occur, the resulting decline in attendance would put a further strain on the museum. Having a weekend dedicated to the George Steinbrenner, however, would more than help fill that void and likely boost the numbers flocking to Cooperstown. Unfortunately, George Steinbrenner won’t be around to preside over his own induction ceremony, but the former Yankees’ owners was such a compelling figure that his story would still be riveting when told by third parties. What’s more, the electorate could right another wrong by inducting Marvin Miller along with the Boss, a gesture that would acknowledge each man’s undeniable impact on the game by once again tying their influences together. It’s time for the old guard of writers, players and executives who lament the era of free agency to step aside and allow history to be honored. Hopefully, the Hall of Fame’s new “era-focused” election approach will allow that to happen.